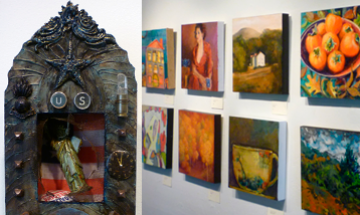 LEGENDS OF THE BAY AREA is an annual exhibition honoring artists whose contributions helped define Bay Area artistic style. The 2011 exhibition featured a unique selection of artworks by Manuel Neri. The artworks, created in the 1970s and 1980s, were inspired by Japanese figures and landscapes, and range from 2D mixed media drawings to 3D bronze busts and maquettes. Neri maintains his signature style and subject matter in these works, with urgent brushstrokes, gracefully calligraphic female figures, the introduction of bold colors, and the compelling tension between elegant classicism and the energetic record of the artist's hand. This group of artworks is unique, however, in the inclusion of unpopulated landscapes, the use of mixed media on appropriated printed materials, and the clear reference to Japanese culture, resisting Neri's attempts to universalize the female form. These artworks are decidedly Neri in many ways, but they are also a Neri moving toward the specific. Manuel Neri is well known as one of the driving forces behind the second wave of the Bay Area Figurative movement, employing the female figure as his primary subject against the current of Abstract Expressionism in the 1950s and 1960s, and developing his particular approach to figurative sculpture in the 1960s. He entered the military in 1953, greatly influenced by the time he spent in Korea and Japan. 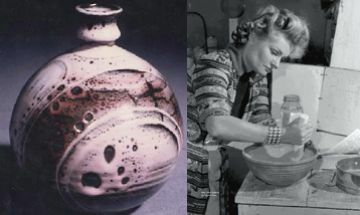 Born in Sanger, California, Neri attended San Francisco City College, the University of California, Berkeley, the California College of Arts and Crafts, and the California School of Fine Arts, working later as an instructor at the California School of Fine Arts, UC Berkeley, and UC, Davis. His work has been shown throughout the United States and in Europe, and he has received numerous grants and awards, including an Individual Artist Grant from the National Endowment for the Arts, an Honorary Doctorate for Outstanding Achievement in Sculpture from the San Francisco Art Institute, and a Lifetime Achievement Award in Contemporary Sculpture from the International Sculpture Center. Juror: Kenneth Baker, Art Critic for the San Francisco Chronicle. SHATTERED, MarinMOCA's 6th annual Fall National Exhibition, was juried by Kenneth Baker, Art Critic for the San Francisco Chronicle. Baker selected 48 artworks from hundreds of entries to design an exhibition that pushes the range of the theme's meanings. The theme's reference to disruption, change, destruction, and splintering gave artists the opportunity to explore the positive and negative connotations of such actions. Panta Rei, a painting by San Jose resident Emanuela Harris-Sintamarian, contemplates the ways that shattering can be productive through the combination of colorful, dynamic shapes that indicate, as its title suggests, everything is in motion. Constant movement and change in the world means that no one thing can be experienced in precisely the same way by different people. 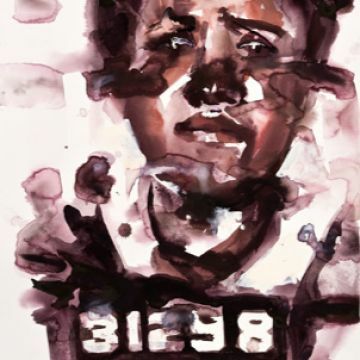 Monica Lundy of Oakland explains that her entry, 31298, based on the mug shot of a female inmate from San Quentin, considers how the "correctional facility has a degenerating effect upon the inmate." 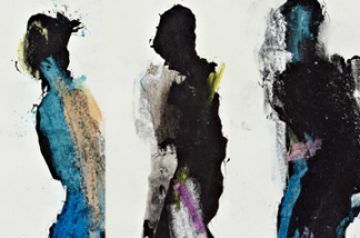 Lundy deftly connects form and content as her painting about a broken inmate is broken itself, with blots of paint distorting the inmate's face and numerical identity. In addition to pushing the range of the theme's meanings, the exhibition featured a range of media, from paintings to encaustic (wax), digital media, and sculpture. 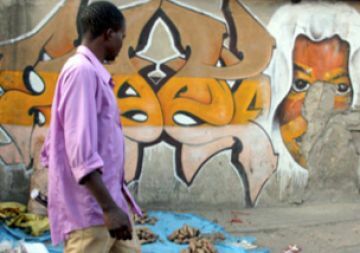 Streets of Hope opens the viewer's eyes and heart to life inside two townships of South Africa, Soweto and Alexandra. The people struggle in overcrowded housing and land, lacking sanitation, water supply and electricity. They are, however, hopeful and resilient and tenacious. For more information on Friends of Alexandra visit www.friendsofalex.org.za. Keven Seaver Photography creates contemporary photography for corporate, residential and hospitality markets, both interior and exterior. Challenging perceptions by shooting close and big, the object becomes the design. The result is abstract, often provocative, and always striking.